First, Mordenkainen's Tome of Foes is amazing and any D&D 5E fan needs to check it out. It's thick with ideas, monsters and also contains some material reprinted from the scenario books, meaning you don't need to access (say) Out of the Abyss if you need Orcus's stats. This is a thing, being done by the man behind the enigmatic Forge site where people analyze games to the point where they stop being fun. I kid! Sorta. But that doesn't mean Ron Edwards isn't the right man to start a Kickstarter bringing back Champions in approximately it's 3rd incarnation from the late 80's, an interesting concept which I feel I must back to see how it all works out. Playing Genesys Core got me sufficiently intrigued about other recent generic systems I have ignored that I decided to revist Cypher Core. Something happened not long after: the system "clicked" for me and now I am very keen on running it soon. More to come! The more I read this never-ending thread over at rpg.net the more I grow weary of the entire concept. I need to stay away from all playtest posts, they are killing my interest in whatever Pathfinder is polymorphing in to. I'm sitting in a hotel in Los Alamos as I write this, enjoying day three or four of what started as a work trip but then turned in to a sort of family road trip vacation. Along the way we decided, in our meanderings, to stop in Los Alamos and tomorrow we're off to see Bandelier National Park (as well as a plethora of local museums, Los Alamos has lots of those). But there does happen to be a small local theater, and we managed to catch Solo there tonight. Fun movie! I will be honest and admit I wasn't that enthusiastic about Rogue One, which was a perfectly good movie but outside of Jyn Erso and the robot I really hard a hard time keeping track of everyone and why I was supposed to feel bad when they died. Director Krennick (was that his name) was also distinctive, but the most I remember about that movie was "Cool CGI Tarkin, cool CGI Leia, and oh, that's why there wasn't much of a fleet when the Death Star approaches Yavin's fourth moon." Solo, on the other hand, was loaded with interesting characters who either you want to see more of, or who die and you actually feel like you had some reason to miss them. "Gee, would have been cool if she'd survived," type moments. It also had a ton of fan service. This may have been the most fan serviced movie ever, and probably will benefit from this aspect hot on the heels of the anti-fan service film The Last Jedi. There is one scene, in fact, which took me quite by surprised (my son was not surprised apparently and also loved it) when a character very much thought Dead with the capitol D shows up. This is something the new extended universe foreshadowed, I guess, but hell it surprised me that this happened in a feature film. Anyway, the real question is: can two new actors spice up a young coming of criminal age tale featuring Han Solo and Lando Calrissian? Yes, the answer is absolutely. Both actors pull this off quite well (imo) and I left this movie eagerly hoping it does well enough to see a series of future solo films. There are more tales to tell for both Han and Lando, and I would love to see this happen at some point. *If you loved certain Han Solo tales from the Expanded Universe (i.e. Pre Disney) then you are going to be a little miffed, though. A lot of specific novels are now non-canon and completely irrelevant all of a sudden. 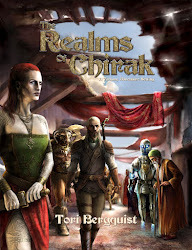 I'm four sessions in to a Genesys Core game now, set in a fantasy world borrowing from Realms of Terrinoth and the copious resources over on the FFG forums. Magic- Session four is demonstrating some interesting new learning hurdles for the game system. Notable among these are the magic system, which is very free-form, but also "menu driven" in that you pick your spell type (Attack, Barrier, Curse, etc.) and then add on to the base effect with a series of options that increase effect and difficulty. It's an interesting system, unless your group is very tired and unfocused....then things can slow down a bit (and yes, it seems like many of us were kind of tired and unfocused last night). Right now in terms of the magic learning curve I have two players with mages who are picking it up nicely, one player who is behind the curve, and a GM who gets the concept but in reality isn't thinking quickly on his feet at the table when it comes to aiding in these calculations. Yaaaay for me. The Dice- Interpreting the dice is getting much easier with practice. That said, I realized that I as GM sometimes like to reach for the dice to check an NPC's reaction to something players do. "Is this person stupid enough to believe X? Is this guy clever enough to realize Y?" And in Genesys it is simply quicker and easier to decide that as the GM rather than let fate call upon the dice, since the dice can make the GM spend thirty seconds staring at them, which is narrative flow time lost. I'm not entirely unconvinced this isn't stripping me of a bad habit, actually. One thing I don't suggest if possible is to mix Star Wars dice with Genesys dice. The new player was using Star Wars dice but it was clear when we gave him Genesys dice this time that it threw him for a loop. Initiative- the way this game handles initiative is fine, but I feel it needs refinement. Everyone rolls initiative, and the player group can essentially trade off their slots in the sequence to others. How this is done is described poorly in the rules, and has led to moments where I ask who goes next, and no one is sure who wants to go. I think I'm going to implement a "house protocol" where I tell the players they can hand off their initiative if they want, but I will otherwise call on them in sequence. Battles- Combat remained interesting and dynamic, and we actually ran through roughly three major encounters for the evening, two of which ended up in battle. Gauging foes in Genesys can be a bit of a trick, though. Seven trolls using a doc I got from the forum proved to be a bad idea for a minor encounter, but it was easy to demote six of them from rivals to minions. That said, I find the damage/soak mechanic a bit weird at times. Spells have to get through soak, for example....unless you add an effect that lets them pierce soak. This leads to the counter intuitive result of a guy taking a lot of fire damage with the burn effect but it's okay because he had plat mail on so he only took a bit of it. I could rationalize it as the idea that most of the burn effect was splashed off on his plate, but in practicality I'm not sure getting doused in flames while wearing any medieval armor is a good idea. There were a few rolls with a lot of density in the combat roll, but the players who are catching on quick were good at parting out the flow of data from the dice into their advantage effects, attacks, crits, threats, etc. This was good. Overall, despite the muddy moments with the "rules to dice to narrative account of what is happening" process as relates to certain spells and effects attempted, I still was impressed that the system manages to help create a distinct evocation of storytelling that makes the adventure memorable. Very good plus there! As a total aside, while I am really enjoying a "build from scratch" new world design for recent games, the Realms of Terrinoth book is a blast to read and a great setting. I even caved and picked up Descent 2nd Edition to play with my son, and am debating picking up some of the other board games. Well played, Fantasy Flight. I think it was around March 2016 that I last ran Pathfinder....it's been a sea of D&D 5th Edition, 13th Age and a medley of other games since then. I'd quit running Pathfinder on Wednesdays as far back as 2013 right before 5E arrived, but the Saturday group had more dedication. That said....things changed and around two years ago Pathfinder was essentially laid to rest. My irregular gang of Starfinder players who meet on Friday nights when we all happen to be able to had a short player but still wanted to game. Not wanting to proceed on Starfinder with the missing cohort, I proposed an alternative game....and so we decided Pathfinder. 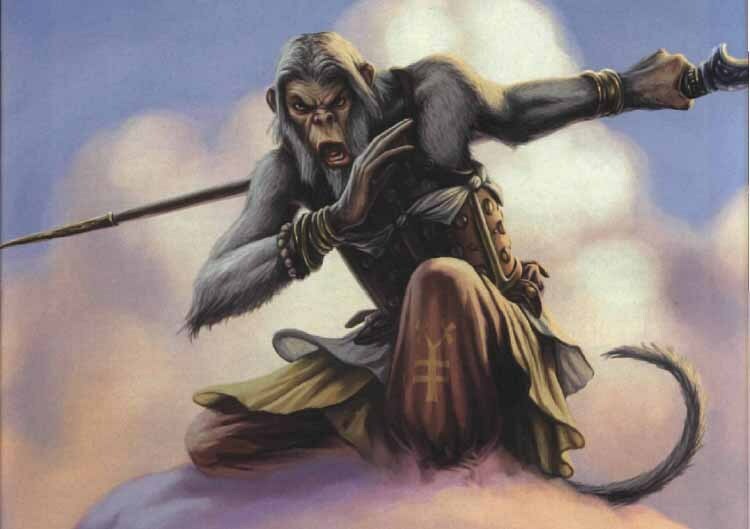 Pathfinder, at least at the lower levels, does feel deadlier than D&D 5E. D&D 5E can be deadly without much effort at level 1-2, but so long as you don't throw a bunch of hobgoblins at the group they'll live. 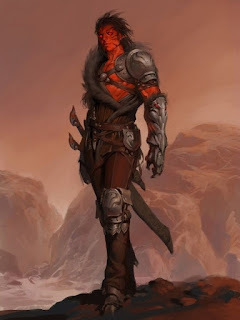 Pathfinder has its own dynamic, but the game has fewer renewable resources, so resource management is a more prominent game, and this fact was noticeable. Apparently if you play Pathfinder long enough, it gets burned in. I was disturbed to realize how quickly I snapped back to the mechanical rigor of the system like a fish in deep water. I'm not sure it's equivalent to riding a bike, but apparently the years of running Pathfinder really engrained the system in to my head.....I realize now I probably spent more effort forgetting Pathfinder rules to play D&D than I did learning the new rules....! This probably doesn't apply if you didn't play enough to get the rules down.....but honestly, I was shocked at all the obscure minutiae I was recalling. A thing that 5E avoids is scenarios (in most cases) where the PCs are relentlessly beating on a foe that either cannot be hit or cannot be damaged, to no effect in the end, leading to a weird combat that is protracted and brutal. I had an encounter involving Iron Cobras that only went fast because with three players things can go fast....but they were in the awkward position where hitting the target was hard, and dealing damage past the DR was harder. This something I realize D&D 5E really avoids (mostly). I played with people who were in on it for the fun, and while some system mastery was evident, the focus was on fun and interesting characters rather than a militant play strategy aimed at tactical decimation. The result was much, much more fun than the old days when I had a large group focused almost obsessively on system mastery. Indeed, the group independently rolled up a barbarian, ranger and fighter, with a high INT score of 8 and nary cleric among them. When they realized what they had done, they decided this would be pure gold entertainment, then conspired to insure that the tiefling, goblin and vanaras all had goblin as their only common tongue....yep, it was a fun night. They proceeded to play professional repo men and eviction specialists for shady merchants with suspicious agendas that none of them could spot with a botched sense motive roll. Good stuff! As an aside, I set the game in a corner of the new campaign world I've been building with Genesys Core. Not much exposition needed with three guys who averaged 7.5 intelligence. So yeah....looks like Fridays are the official "XFinder RPG" nights for a while. BONUS! I got to use my pocket rule books for Pathfinder at last. Purchase: justified. Like D&D and other fantasy games, science fiction games have their own hierarchy as well. Unlike fantasy, there is no single SF game that casts a long shadow over the rest of the genre, and for purposes of this overview we are only looking at actual SF games which encompass space travel, visiting other worlds, and exploration of the future of humanity and/or it's dominion of space. Sorry post-apoc games, you'll get your own post soon! The hierarchy of SF games doesn't suffer under the presence of Traveller, despite the ubiquity of the first truly authentic SF game on the market. Rather, SF RPGs tend to reflect a style focus. Rather than try to identify the style in context of subgenres (space opera, hard SF, soft SF, exploration, war, etc.) I wanted to identify how game systems tend to focus their rules on types of play, creating distinctly different narrative/game experiences through the discovery and exploration mechanics. Traveller is clearly a fine example of this. You're game is focused on exploration, and the rules support a mechanism to facilitate going to places and locales without necessarily having to know what is around the corner in advance. Such systems are often very old school in feel, and they focus heavily on procedurally generated content, and may even offer settings that still nonetheless require more rolls and design to flesh out as they are explored. Traveller is the poster child, but other OSR games such as White Star offer soft science variants on generating worlds and systems to explore. Other games which offer this approach include GURPS Space (though it definitely works better as a type 4 below), and just about any system or sourcebook with a dedicated set of charts and mechanisms to create explorable content (often even on the fly). A large number of SF RPGs fall in this category. Star Trek, Coriolis, Infinity, Cold & Dark, Fading Suns, Alternity's Star Drive, Shatterzone, Burning Empires, The Last Parsec and many more all have tightly defined universes and even if they offer some rules on procedural content generation, it's usually eclipsed by the tightly defined worlds of the campaign that are often elaborated on in great depth and design. These are games not so much about SF for its own sake, but SF of the type and flavor of the specific universes under scrutiny in the game's setting itself. Most Rule of cool games actually work as defined setting games, too. The difference is that these games tend to eschew consistency of setting or scientific principles in favor of "worlds that are cool to explore." A common trait is that space exploration is easy, and most worlds you visit tend to be the kind you can survive because it's really about blasting your way in to the evil empire's secret base. Soft SF or space fantasy fits here really well. The many Star Wars RPGs, Starfinder, possibly Warhammer 40K RPGs, Hard Nova, Star Frontiers, most Savage Worlds settings (Flash Gordon and Slipstream in particular) and Firefly tend to fit this style of experience. A common trait of these games is that the world design often favors planets that may improbably have earthlike atmosphere despite being volcano worlds, or ice worlds, or "insert single terrain type here" planets. These games could be called "Pulp" Games as much as "Rule of Cool." This is the most neglected corner of the experience mostly because it requires the most effort to work with. You can run games with a large enough toolbox from other categories here if they are designed to support a wide array of experiences....Traveller, for example, can be played fairly straight as a scientifically accurate game with minimal tweaking. GURPS Space is the poster child for this sort of game experience. Some games focused on near future cyberpunk and transhumanism fit here nicely, including Transhuman Space, Mindjammer, and Eclpse Phase. An irony of post-singularity games like the aforementioned titles is that they feel really "out there" yet tend to be tightly focused on logical extrapolations of a near future technological explosion in AI, transgenics and other technology that could fundamentallyc change the landscape of the future. And of course, a common trope of the scientifically accurate game is a tendency to eschew FTL drives, or to provide some sort of semi-realistic explanation for getting around it. This game either is Dungeons & Dragons or is closely rooted to it in some way (13th Age, Pathfinder, Swords & Wizardry, Fantasy Craft, OSRIC, every other edition of D&D, and most retroclones in existence). These games are essentially D&D or offering the D&D experience as closely as the OGL allows. A key component of these games is that they are probably going to have lots of known D&D tropes in them, especially if its in the OGL, or will offer up analogs for those things and creatures which are considered protected IP (if your game has a close analog to a mind flayer, it is probably one of these, for example). If your game has classes, level advancement, attack bonuses, escalating hit points, armor class, and the notion that a level 10 dude can mop the floor with dozens of level 1 dudes then you're probably in this space. Extra points if a beholder, drow, mind flayer or other distinctly D&D monster show up. 2. The "Does D&D Better and/or Different"
This game was designed to emulate the D&D experience but with a different ruleset. Depending on your interpretation certain games may or may not fall in to this category, but some are indisputably attempting to enter D&D territory, but with a different mechanic entirely. These are games aimed at people who's nostalgia is for the idea of a dark dungeon delve, but not necessarily centered on need for mechanical emulation; These are games that pay homage to Gygax's legacy without embracing the rules. Their fans may actually revile D&D mechanically while engorging upon the ambiance of the dungeon delve. Examples that I would lump in this category include Dungeon World, Mythras's Classic Fantasy expansion, and some games which are arguably more subtle in their differences such as Dungeon Crawl Classics, Torchlight, and FATE's Freeport Sourcebook. GURPS Dungeon Fantasy is a curious example of a tried and true system seeking emulation. Although I lump 13th Age in the D&D-like space, one could also argue it belongs here (I think it's too close to a 4E emulator, though). These are games which do not seek to emulate D&D, and in fact try to provide a decent alternative set of mechanics and creative mental space in which to work. Their hallmark is doing things differently, from stuff like "our orcs are weird," to "we don't even do orcs, elves, etc." 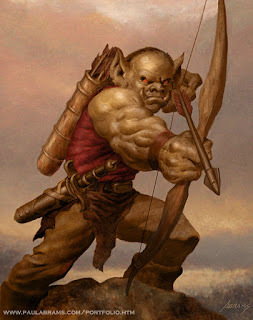 --but a key element of these system is that they totally want you to be able to do orcs in your setting if you want to. Fantasy AGE is resting firmly in this space, as is Mythras, Runequest, Fantasy HERO, GURPS Fantasy (but not Dungeon Fantasy ironically), The Dark Eye, and many, many classics that are now gone or hard to find (Chivalry & Sorcery, Ysgarth, and countless others). Most Generic Systems that offer fantasy expansions fit into this spot (Genesys Core and Cypher System certainly do; I'd argue that the Savage Worlds Fantasy Companion is much closer to a type 2 emulator, though some of its fantasy settings are definitely in this third category). The key point though is that these games offer up a competitively different fantasy space in which to game. Their selling point is usually that D&D DOESN'T do "this," but that you can totally game with their systems into perpetuity just like D&D. Here's where you see the interesting stuff. Stuff which is clearly inspired by Tolkien (Awaken, Symbaroum), stuff which emulates specific genres (Conan RPG) with specially designed systems, stuff which seeks to provide a form of fantasy which neither feels like nor looks even remotely like D&D or any conventional high fantasy experience. It is often easy to distinguish these systems by simply asking whether or not it is even possible to imagine creating your own homebrew setting with them, or modifying it to run your own....chances are no, these games are as unique as their settings. Talislanta, Skyrealms of Jorune, and Tekumel are classic examples of this corner of fantasy gaming. Worlds weird and strange, magic that defies D&D style quasi-Vancian magic, even (ironically) The Dying Earth RPG more appropriately rests here. Other games like Symbaroum and Awaken might feel more familiar but as you dive in you realize that it is their inextricably entwined rules and setting that make them unique even if they feel like a corruption of the familiar. These games aren't really competing with D&D; they're trying to ignore it. Wes in my last post had a comment about choice of systems over others that got me thinking. At the minimum doing a post on "why this system vs. that one" is a good mental exercises....so here goes. I happen to be very much in to science fiction gaming, but as I have slimmed my collection down I have narrowed focus to Traveller (Mongoose's 2nd edition version) as the main go-to game, and I retain several generic systems that can get the job done, too: specifically Genesys Core, Cypher System, Savage Worlds and GURPS. BRP could technically count, but has never had an adequate all-purpose SF supplement released for it, unfortunately. Traveller is, to me, very much to SF what D&D is to fantasy: a system which captures the core essence of a defined experience, which (so long as you accept it's core conceits) is the best toolkit and design book for whatever you need in the given genre. It's a little rusty around the edges (as is D&D when you think about it), but Traveller's got a fanbase of excellent designers out there producing good content for it. Just look at the Mindjammer sourcebook for Traveller to see how flexible it can be as a system. More to the point, if Traveller doesn't quite do it for me, then each of the generic systems I mentioned offer up some robust source material for running your own science fiction settings. If I want fast, furious action-filled sci fi then Savage Worlds' SF Companion is excellent. If I want a really flexible design with lots of story-focused systems built in then I'm finding Genesys Core and Cypher System both offer a robust toolset. If I want hard SF with all the bells and whistles turned to max then GURPS is still king here, even though it's 4E Space sourcebook is getting long in the tooth. I also have kept White Star around, because it is the only game of its type rigth now, a sort of genre mashup with a old school style that manages to convey an experience both fun and unique. When I want laser swords without any need to explain the physics? White Star gets the job done just fine. Despite being "SF" to some degree, Starfinder doesn't quite fit this mold to me. Starfinder is a game about playing a D&D/Pathfinder style experience in a space setting with lots of SF and fantasy trappings mixed together. It's not even about "magic in space," it's about the idea of the D&D scenario in all its glory written in a sci fi setting, but with all of the D&D tropes fully extended in to that setting, too. Or Pathfinder tropes, in this case. Stars Without Number - I played this (ran it) for a bit and found that I disliked the fact that it simplified the skill system from it's 1st edition, didn't feel that it's design mechanics meshed as well as I wanted, and that it felt overly complicated for a game which was ultimately still "less complicated" than its closest inspiration, Traveller. Ultimately SWN felt too much like a homebrew version of a more well developed/designed game for me to enjoy it. I also was not a fan of its default setting. Coriolis - beautiful game, but hard to engage with outside of the aesthetics. A problem I've had with other games as well by the same developer, but may say more about my tastes than the quality of design with looked top notch. In the end, I prefer games which give me tools to do my own world building, rather than rigidly defined by their predesigned universes. There's a range of horror/SF mashup games as well, I gave up Void Core, Shadow of Sol and others in preference for Cold & Dark, which I love for its design and aesthetic. It does have a default setting, but its one I can work with. In the end, though, it's games which give me more freedom of design with the setting I want that I enjoy the most. Traveller definitely does that, as do the generic systems. The more tightly defined a game is with its world setting, the less useful it was to me. One thing I've embraced in my quest to slim down from "Hoarder" collector to "Minimalist" free range "person who can move easily" is the important philosophy that despite having a lot of general interest in the memory of the past, I actually don't have as much nostalgia for it as I had previously thought. This has helped a lot in freeing up stuff I have dragged around with me which I have held on to for no other reason than minor sentiment. Another change in mindset has been to really think hard about the "stuff I will use and enjoy, and have used and enjoyed and will continue to do so," vs. "All the other stuff. Period." There are things I have (for D&D, for example) which get pulled out every week and will of necessity see use at some point, again and again. Then there are hundreds of other books I have because I was curious but they have never (and will never) actually see use. They are either redundant, not quite to my style, or distinct for their particular moment in the sun but not otherwise sustainable in the gaming ecology I swim in. D&D 5E, for example, is a staple these days.....but almost every OSR book I have fits in to the latter category of products I just won't ever be able to use for various reasons. In fact, right now, the only OSR book I continue to hold on to is White Star Galaxy Edition and a couple key source books (Between Star & Void and Tools of the Worldshapers). There are plenty of good books in the OSR universe, but of all of it, only these are the ones I both read and used, and plan to use again. The truth is, if I decide to run classic D&D again, I am grabbing up 1st or 2nd edition AD&D and doing with the real thing, not a retroclone. And truth is....my tastes run very differently now from AD&D. Genesys Core, for example, is the main game of choice for the last month or so now. I'm running a homebrew campaign with it using the core rules and Realms of Terrinoth. I'll talk more about this later, but needless to say those two books fall firmly in the "keep" camp. In addition to those, I've been collecting some books lately I still wish to collect and read, even if I never actually run them (this is why I fail to achieve my minimalist goal): Conan RPG, Infinity RPG, Symbaroum and a few others like Awaken and Mindjammer are impossible ignore, being interesting and well designed games. Who knows, maybe I'll find time to actually run them! If it's not on the above list, though, I've probably gotten rid of it. Except for the Pathfinder Pocket Rule editions, those are too cute to get rid of (and portable, too!) Likewise for The Dark Eye's portable editions.